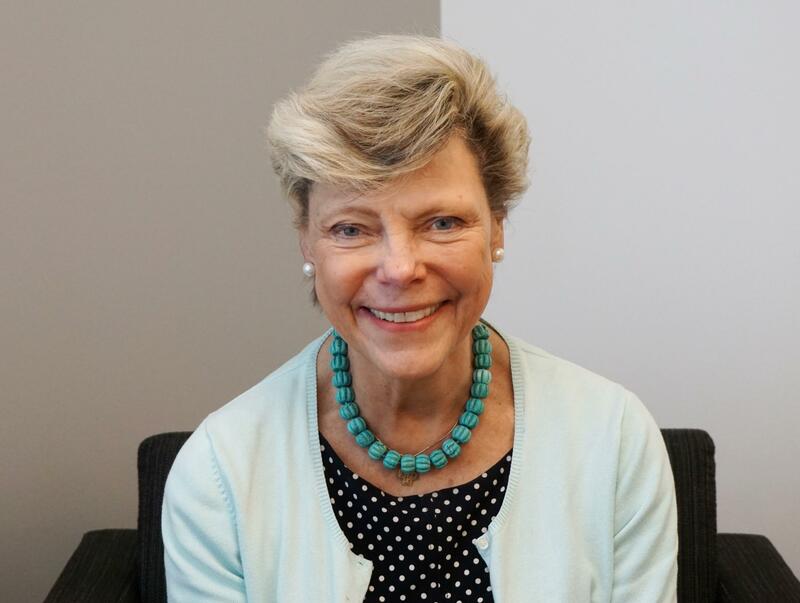 NPR political commentator Cokie Roberts is in St. Louis for a presentation at the Missouri History Museum. “This week has been phenomenal,” remarked Roberts in reference to the news. “Watching that press conference in Helsinki was one of the most remarkable moments of many our lives where we just have our jaws dropping. President Trump drew criticism from both Democrats and Republicans regarding his statements in Finland and back in Washington regarding Russia and its leader, Vladimir Putin. “What everybody continues to wonder is what does Vladimir Putin have that seems to make Donald Trump so nervous,” she said. Roberts’ comments came before the news of Trump planning to invite Putin to a summit in Washington, D.C.
Marsh and Roberts also talked about the role of women in politics and their contributions to the beginnings of the United States. They addressed civility in politics and the lack thereof as well as other topics. Listen to the audio to hear more of their conversation. What: Missouri History Museum and Society of the Sacred Heart present "Extending America’s Promise: Pioneering Women with Cokie Roberts"
St. Louis on the Air brings you the stories of St. Louis and the people who live, work and create in our region. St. Louis on the Air host Don Marsh and producers Mary Edwards, Alex Heuer, Evie Hemphill and Caitlin Lallygive you the information you need to make informed decisions and stay in touch with our diverse and vibrant St. Louis region. At the time of the American Revolution, married women in America were not even allowed to own property, let alone vote. Because women did not sign the Declaration of Independence, serve as generals in the war, or get elected to public office, they are not often mentioned in the history of the time. But despite their lack of official roles, there were women who helped found our nation through their words and deeds, and through their association with the men who have become known as our Founding Fathers.